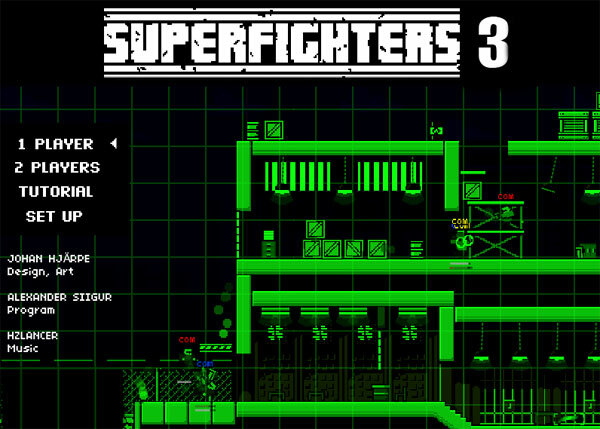 If you like fighting games, one of your best choices is the Superfighters 3. The game is so amazing that you will be blown away immediately. 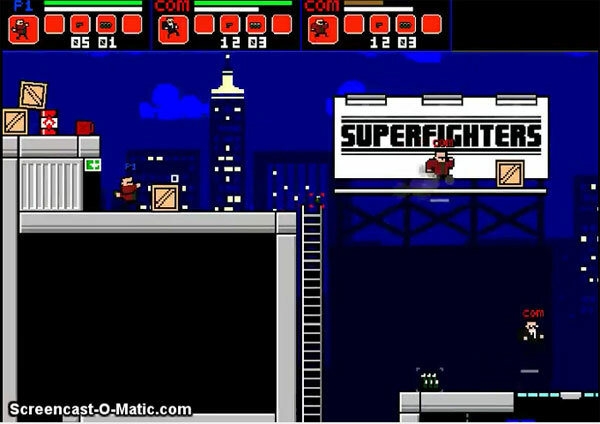 The Superfighters 3 game is the latest version of the game series named Superfighters, which is the series of three actions games. 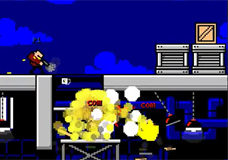 In the game, you play as a fighter who has to run around and fight against many of enemies. The enemies approach in teams and you have to defeat a team at a time. Right after a team lost in the battle versus you, another will come and you have to continue fighting without resting. The battles happen in many places. In each stage, the battles of that stage happen I the different place form the others stage. 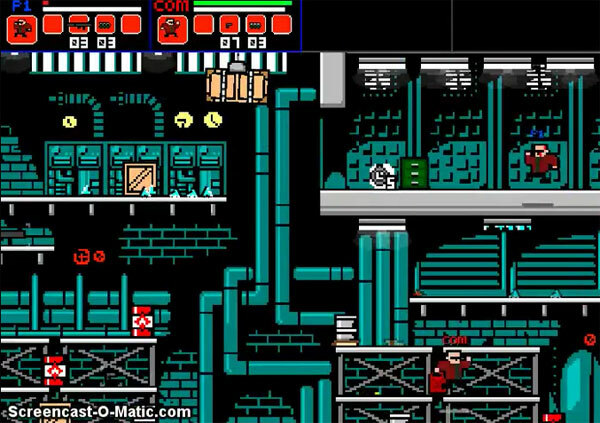 In the game, the levels are called stages. 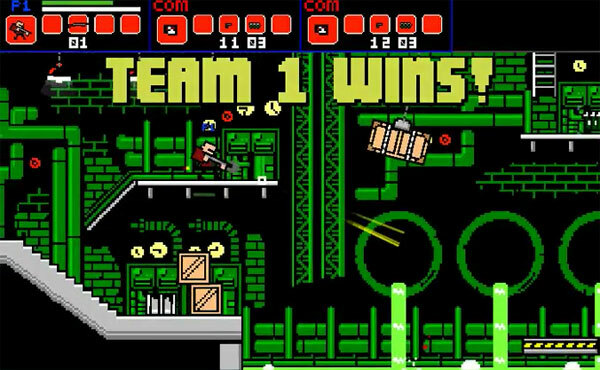 To come to the next stage, you have to defeat five teams of enemies that come to you. The game continues in this way. 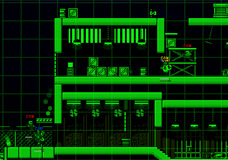 The rule of the all games is that the following levels will be more difficult than the levels before. This game is not an exception. The following stage is much harder than the before stages. The enemies are in bigger number and they become more dangerous. They are equipped with the many modern weapons. In addition, they come to attack you without let you rest for just a second, so you have to always be attentive. Just a second of distraction can make you lose all the game. 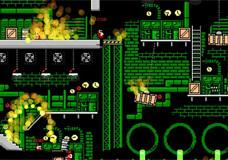 The controls of this version are not so different from the first and the second version. You still use the keyboard to do everything in the game. 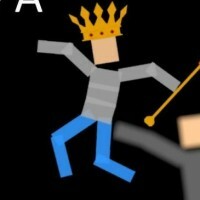 – The arrow keys are used to make your character move, jump and duck. – The ‘m’ key is used when you want him to shoot by the guns. – The ‘n’ key is used when you are in the melee and want to get out. – If you want to throw a grenade to kill the enemies, press the ‘,’ key. – If you want to use the power up help, press the ‘.’ key. Let’s try the game to see how exciting it is!